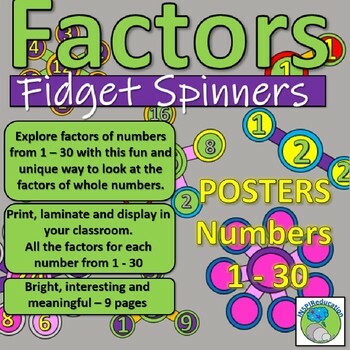 This resource of 8 posters puts the first 30 numbers at the centre of designed Fidget Spinners. We selected Fidget Spinners to grab the interest of the children as this seems to be the "in" gadget at the moment. 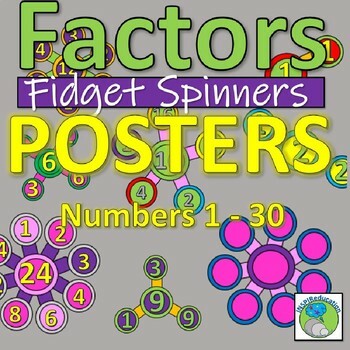 At the centre of each Fidget Spinner is the focus number. 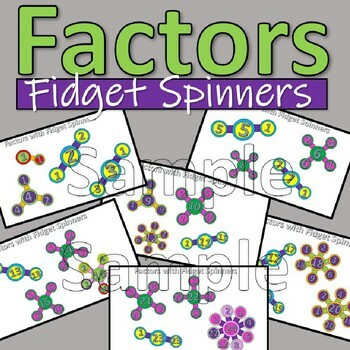 The arms of the spinner have each of the factors for that number on the end of them. 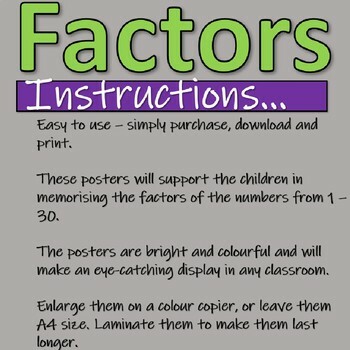 These posters are colourful and incredibly helpful to remind the children of the factors and embed learning throughout their mathematical journey. Children may well recognise that the Fidget Spinners with only two arms are prime numbers (1 and itself). Those spinners with an odd number of arms are squared numbers (due to one number being repeated). Ready to use. Simply download, print and put up in the classroom. To sustain the posters for longer, laminate.